What is the company culture like in your organization? Are your employees united by common values and a common purpose, or do they operate in free-for-all mode? With the recent passing of Steve Jobs, there has been an intense spotlight focused on both the man and the company he built. And while much of the attention has rightfully been focused on Jobs’ passion and creativity, as well as the remarkable period of innovation he presided over, there is another factor that has flown somewhat under the radar. That factor is the critical role that company culture played in Apple’s success. When you think about Apple’s products, what words come to mind? For most people, words such as simple, elegant, and innovative are among the first. Of course, that is no accident. Those values were critically important to Steve Jobs, and he instilled them into the Apple company culture. These core values are the reason that Apple products have been so consistently excellent, and they are the reason that you can walk into any Apple store across the country and have essentially the same experience. 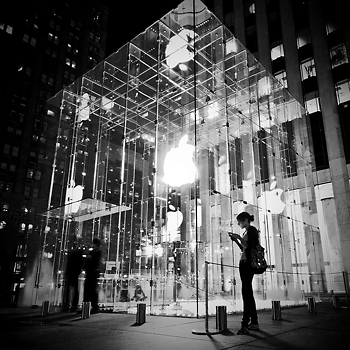 From sales associates to top executives, Apple is united by a common culture. And it is that culture that ensures that Apple customers enjoy the experience that they have come to expect whenever they interact with Apple–whether that means using their iPhone, visiting an Apple store, or calling Apple’s technical support line. 1) Does your team buy in to a defined set of values? Most businesses have a mission statement, or a statement of values. However, very few of these businesses actually operate in accordance with their stated values or mission. 2) Are your employees passionate about delivering the proper experience to each customer? Your business may not treat each employee like they are a guest at a five-star hotel, and that’s fine. Pampering isn’t a part of every business model. But it is important that you, as the owner or manager, have defined the proper experience for your customers. And it’s equally important that your employees consistently deliver that experience. 3) Are you hiring with your company culture in mind? When you hire, do you take values and cultural fit into consideration, or do you search only for talent? Talent is important, don’t get me wrong–but if you expect to build a strong culture, it’s critical that you hire talented individuals who are a good cultural fit. How strong is your company culture? As Steve Jobs and Apple have proven in recent years, a strong company culture can propel a business from the verge of bankruptcy to breathtaking heights in just a few short years. Don’t underestimate the importance of culture in your business!